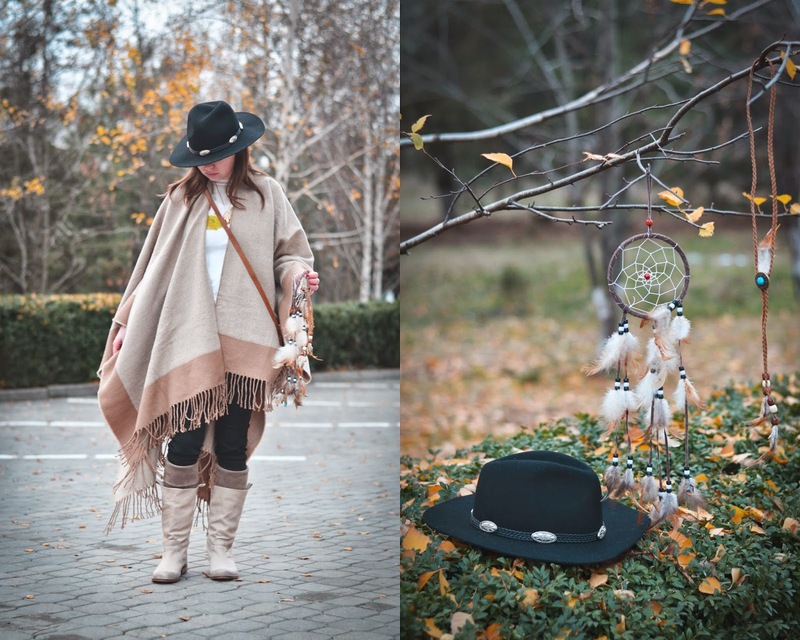 Today, I wanna share with u my "Native American Style". 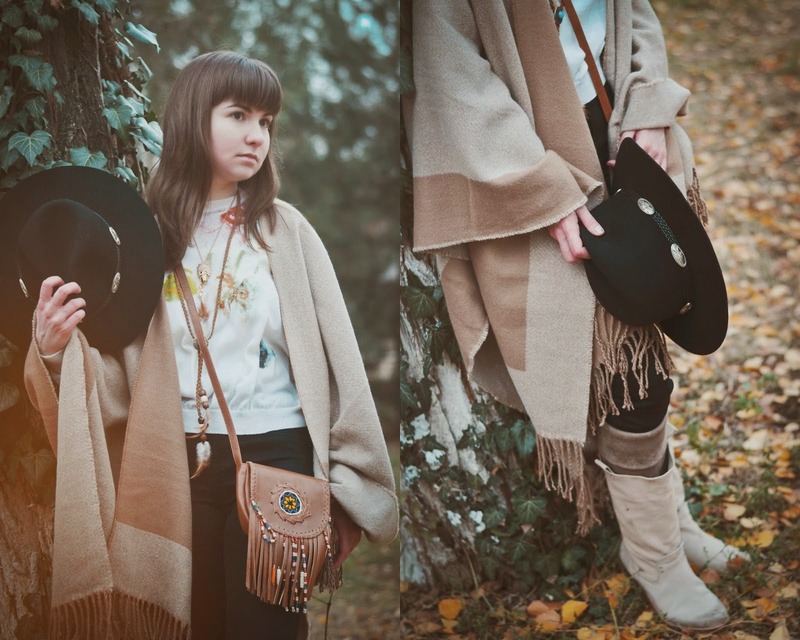 I really like contrast Ethnic print with fringe and feathers, capes, ponchos etc. 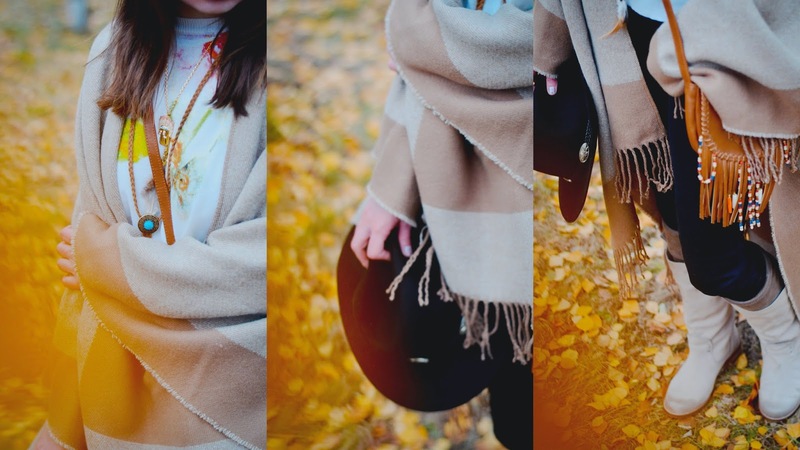 Brown plaid cape with already established my autumn uniform. My favorite "sheriff black hat" from ASOS. And I absolutely love these shots. love these colors! the cape is super cute!